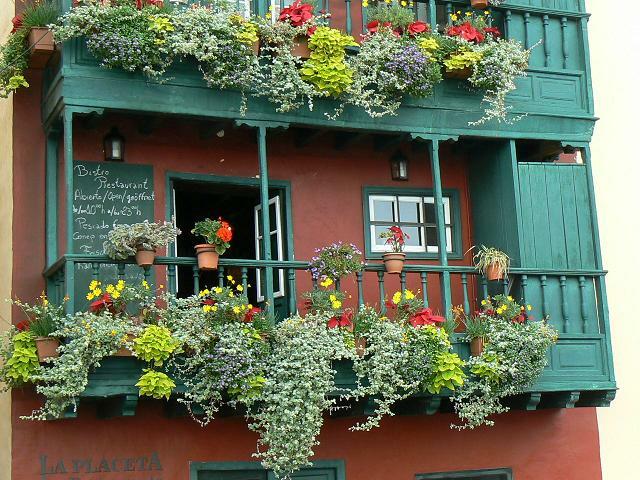 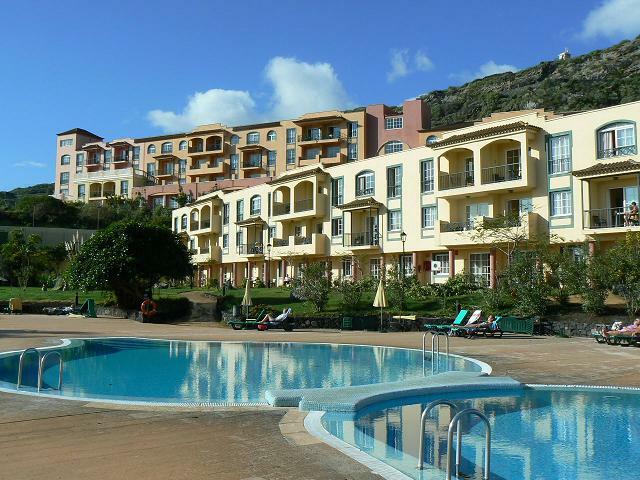 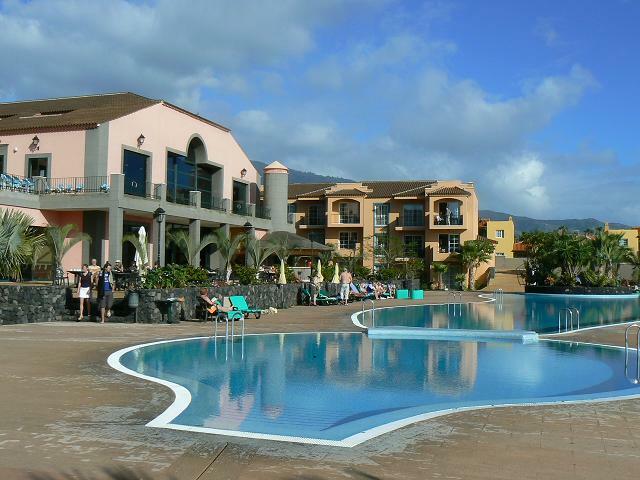 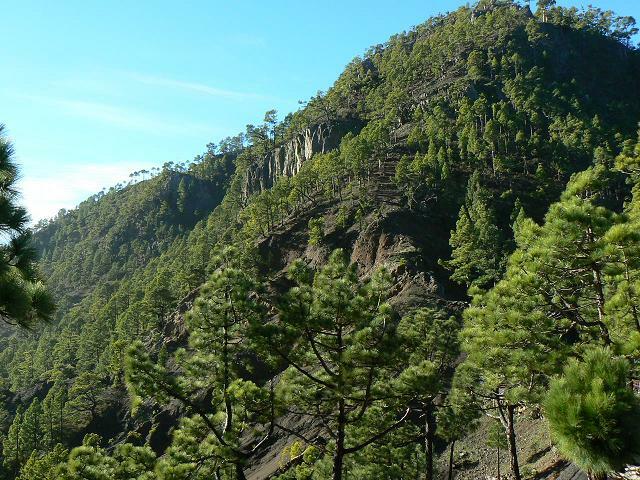 La Palma is the most north-westerly and the fifth largest of the seven main islands making up the Canary Islands of Spain and is the steepest island in the world. 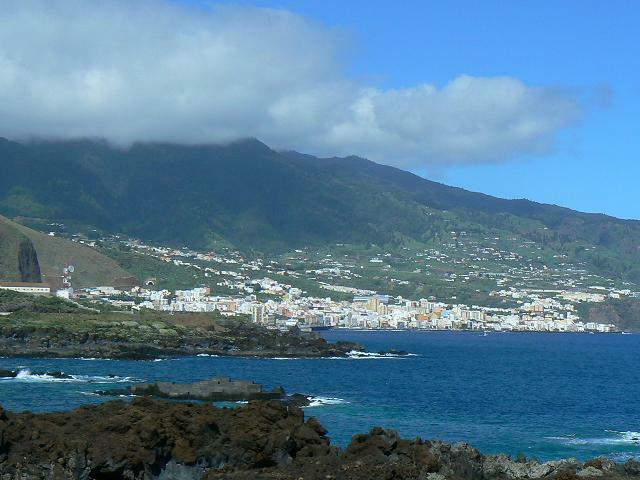 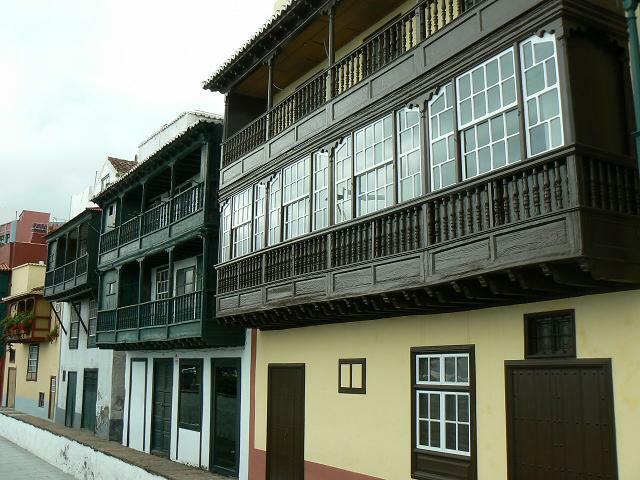 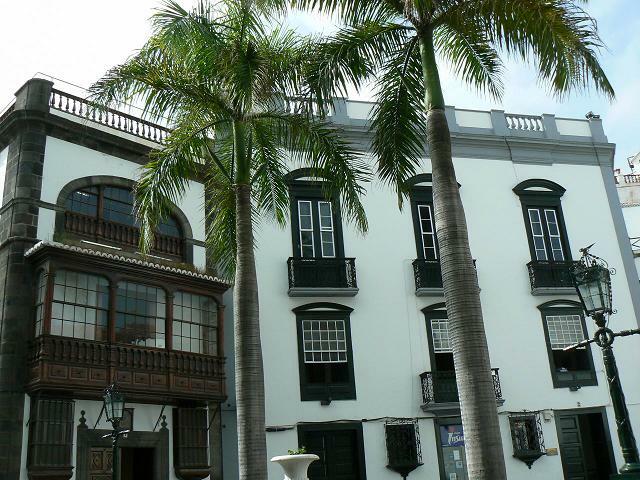 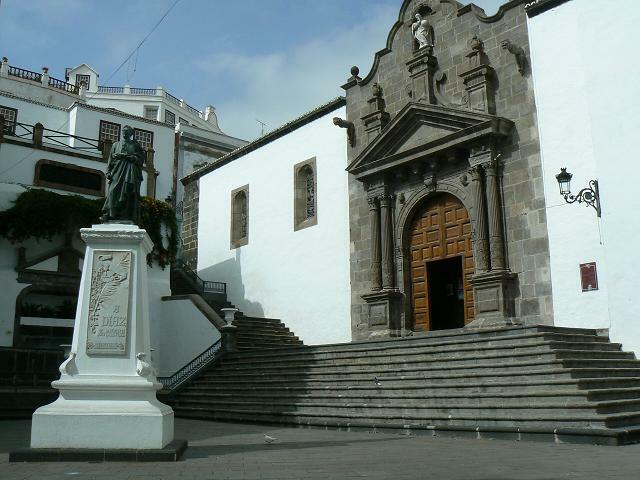 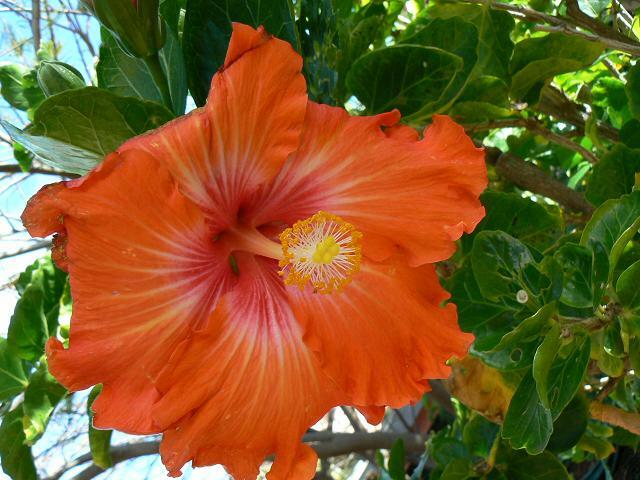 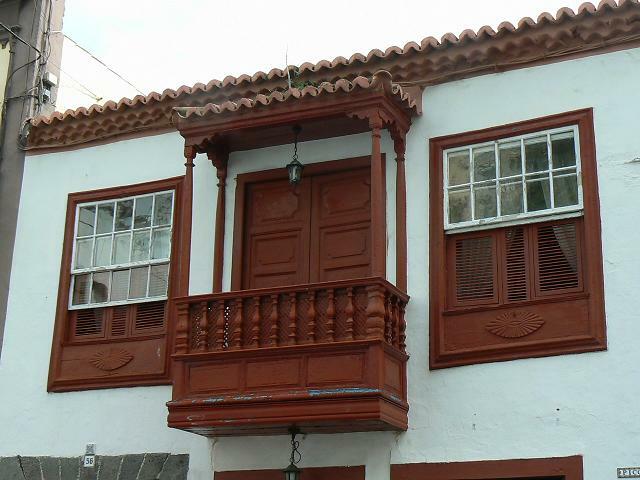 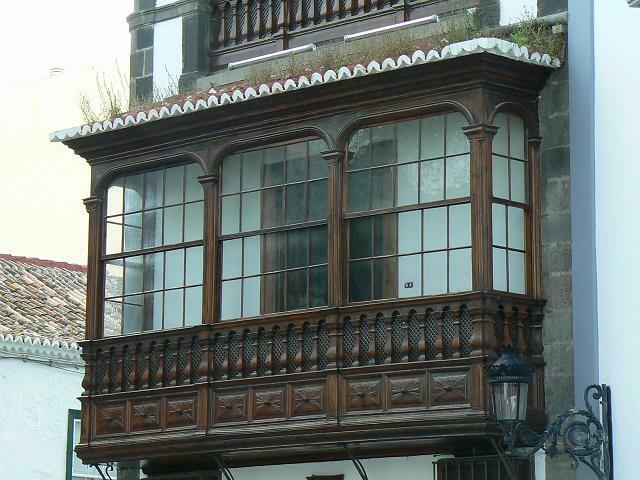 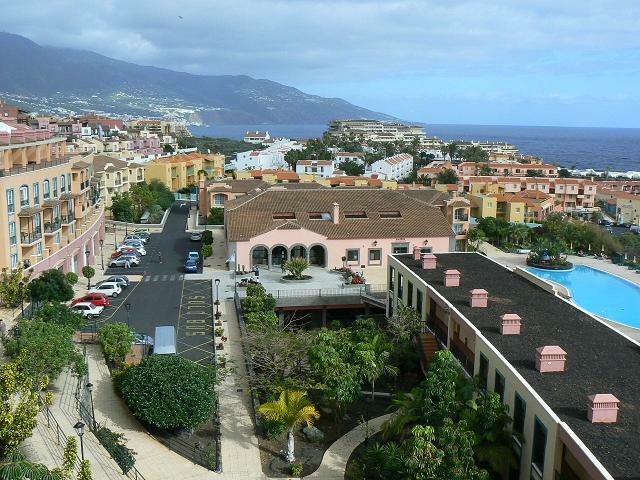 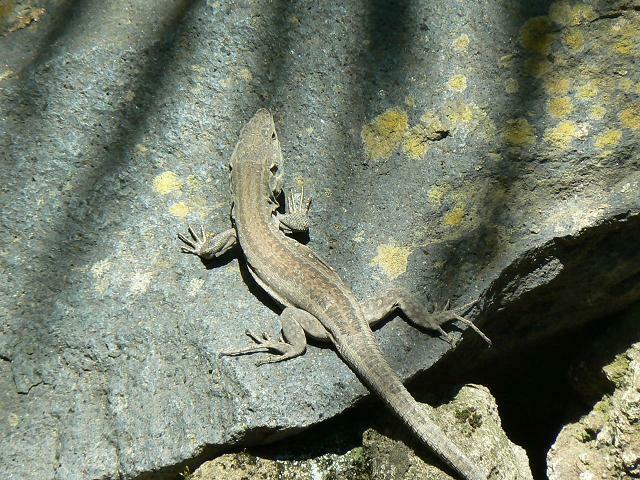 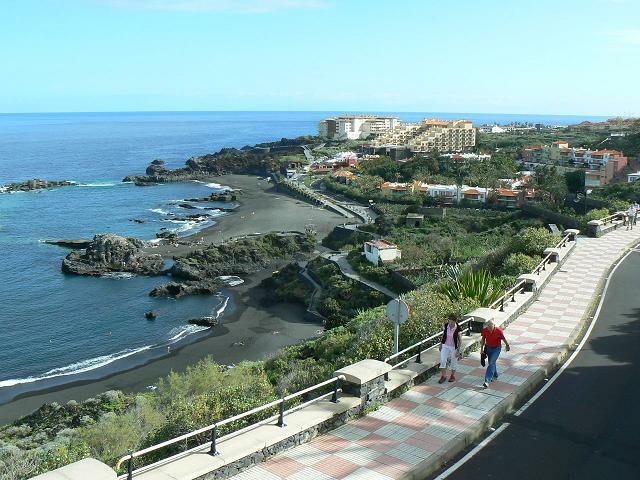 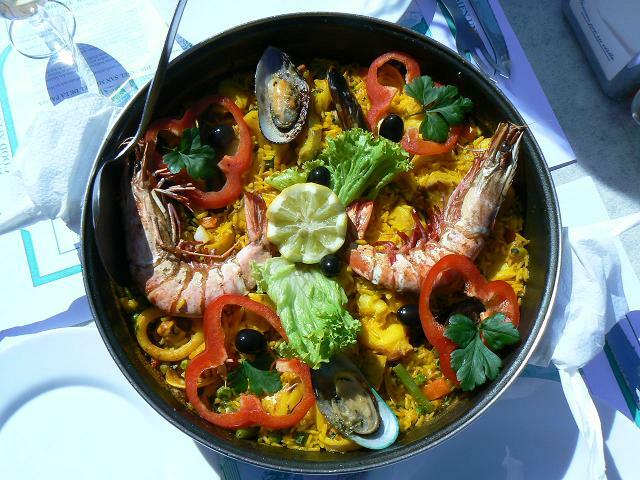 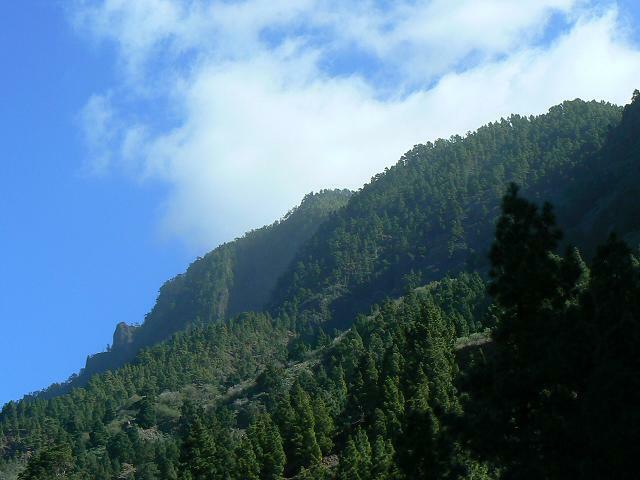 Like the other islands of the Canary Island archipelago, La Palma is a volcanic ocean island. 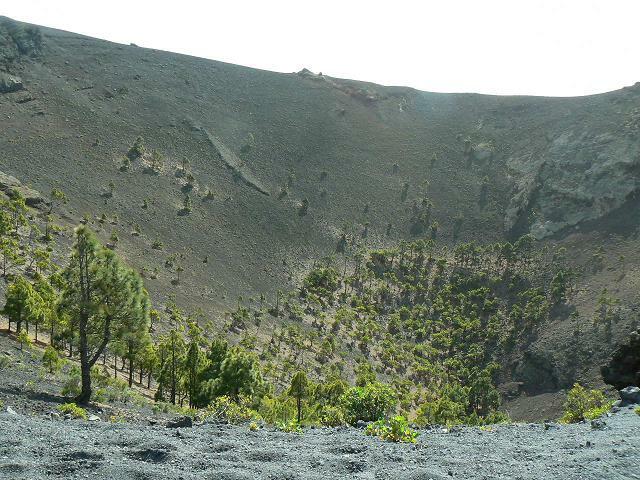 The volcano rises almost 7 km above the floor of the Atlantic Ocean. 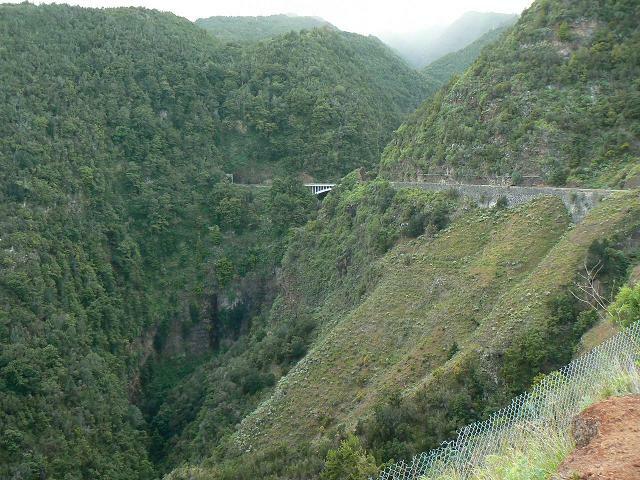 There is road access from sea level to the summit at 2,426m. 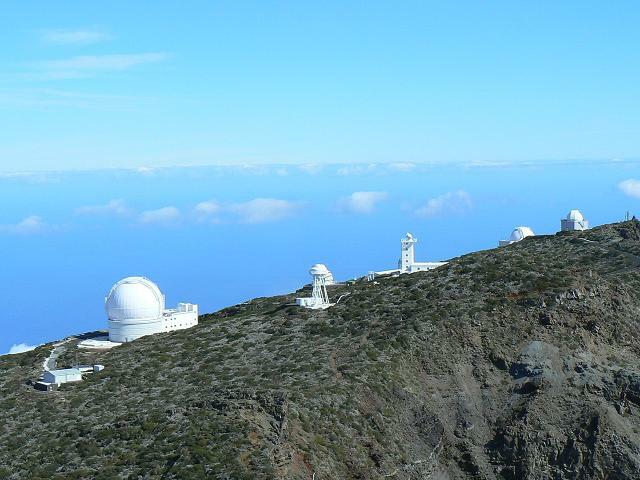 This is the site of the Roque de los Muchachos Observatory, one of the world's premier astronomical observatories. 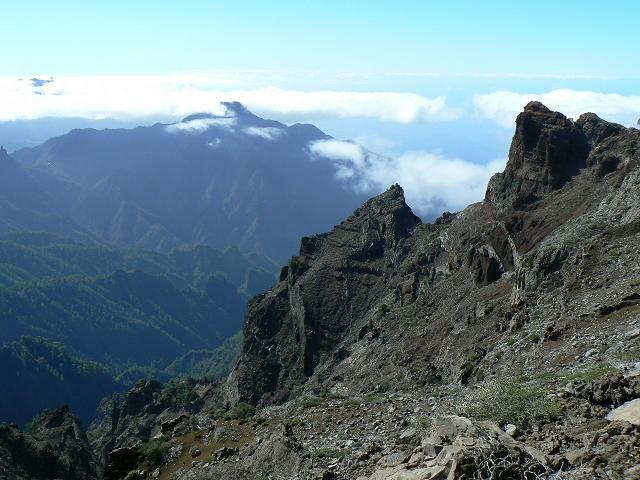 The highest peaks reach over 2,400m above sea level. 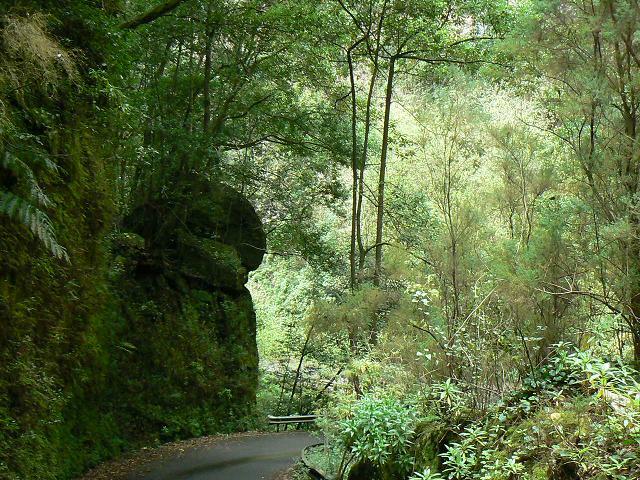 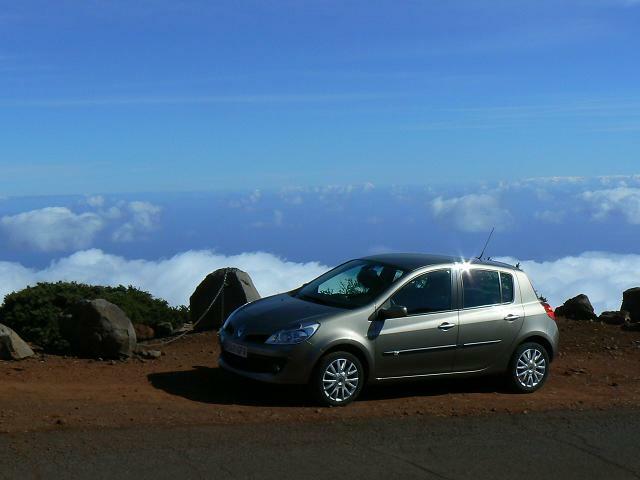 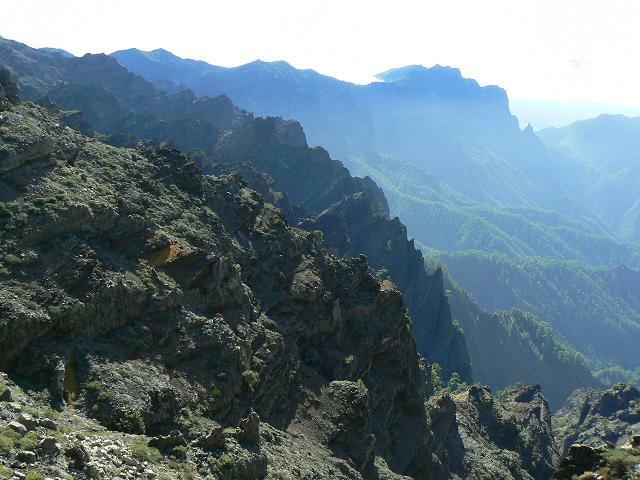 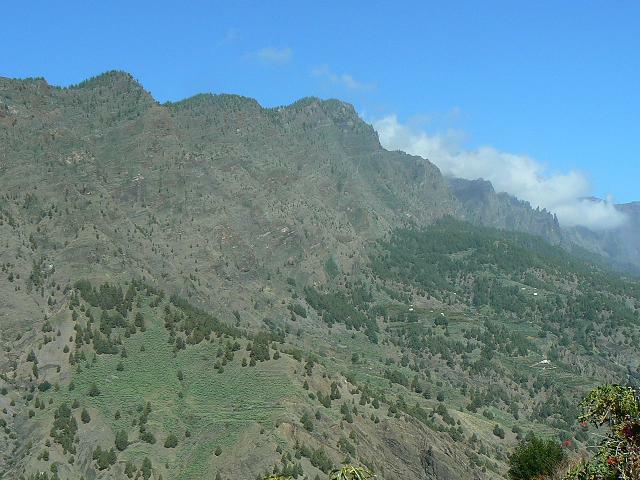 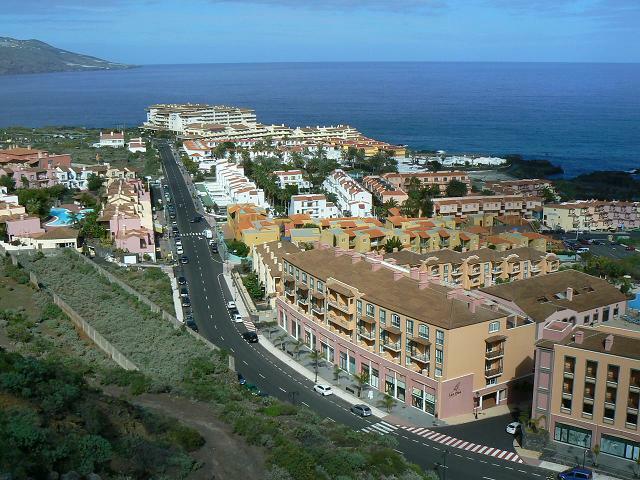 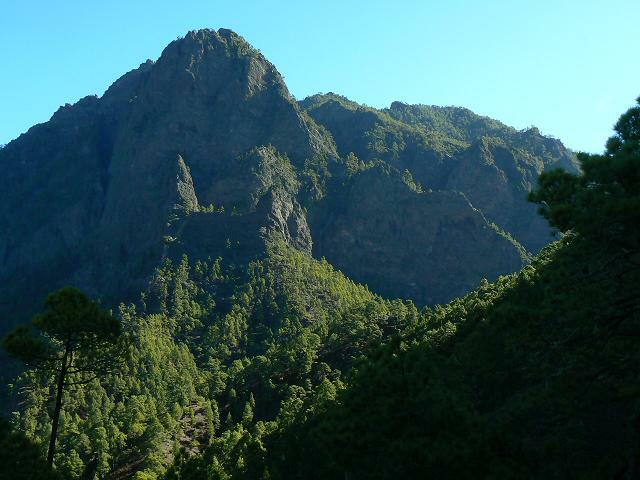 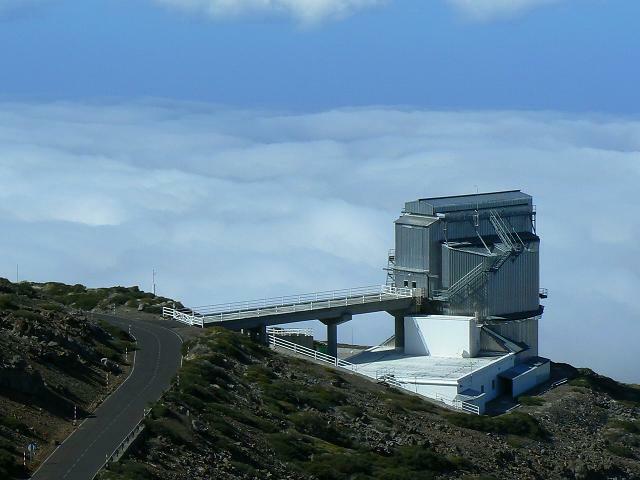 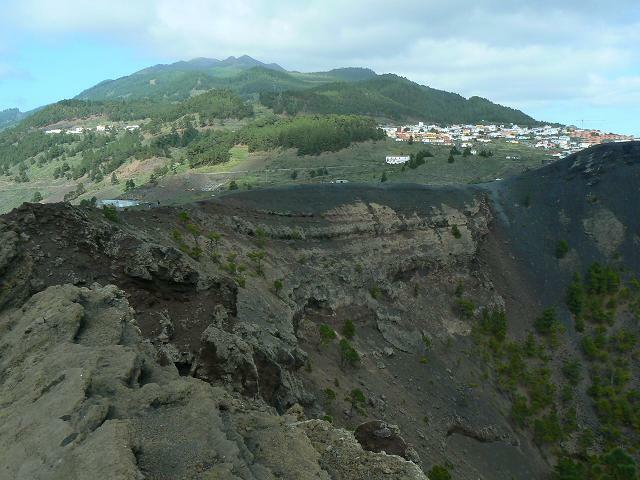 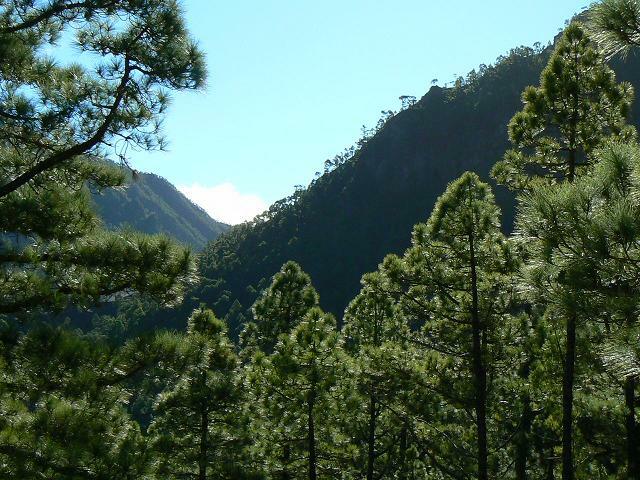 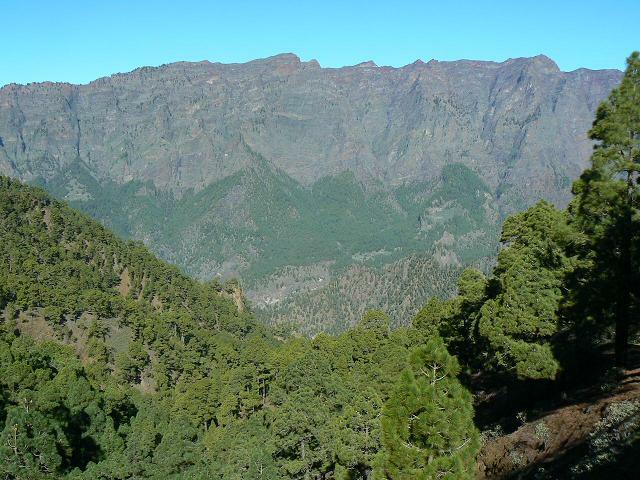 The northern part of La Palma is dominated by the Caldera de Taburiente, with a width of 9 km and a depth of 1,500m. 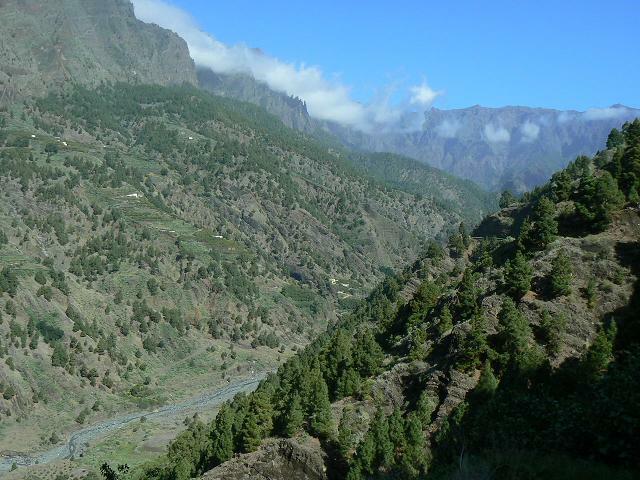 It is surrounded by a ring of mountains ranging from 1,600m to 2,400m in height. 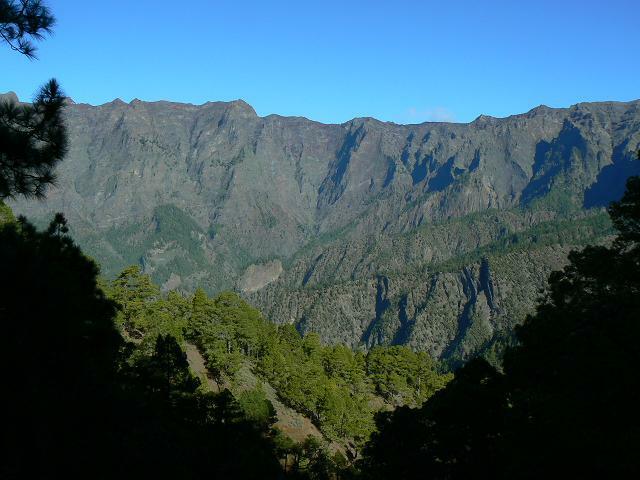 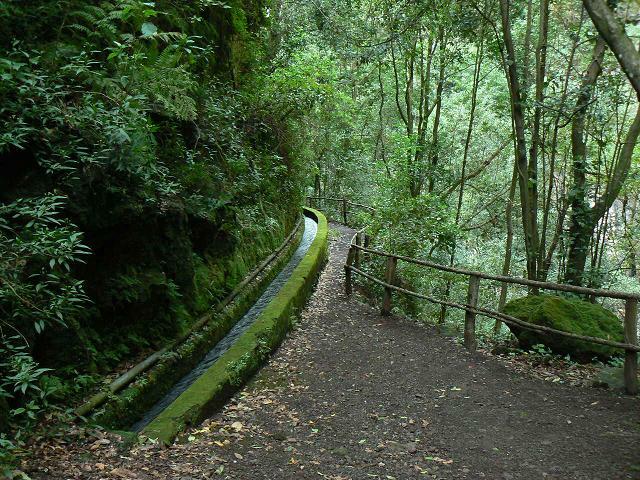 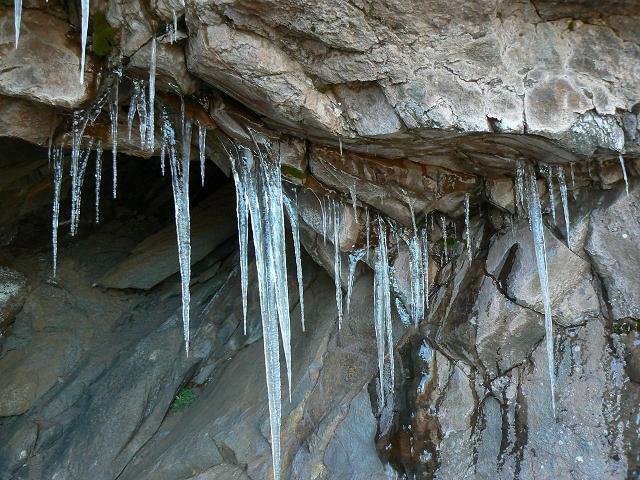 Only the deep Barranco de las Angustias ravine leads into the inner area of the caldera, which is a national park. 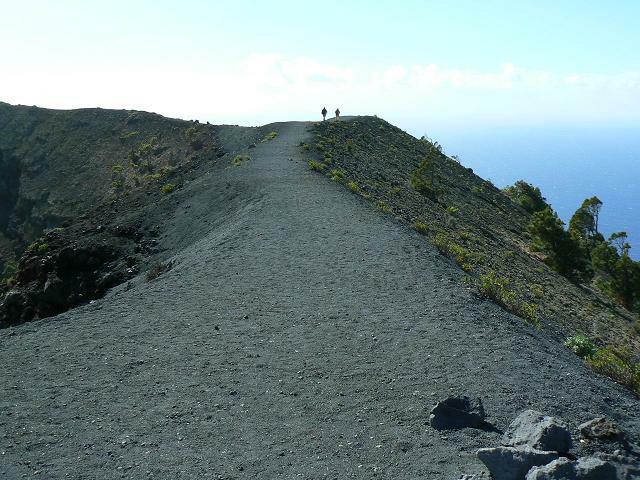 It can be reached only by hiking. 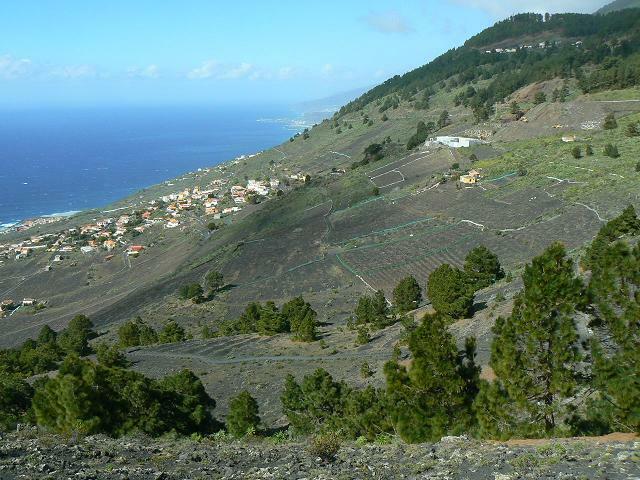 The outer slopes are cut by numerous gorges which run from 2,000m down to the sea.